Underage InterClub League at Corkagh Park. 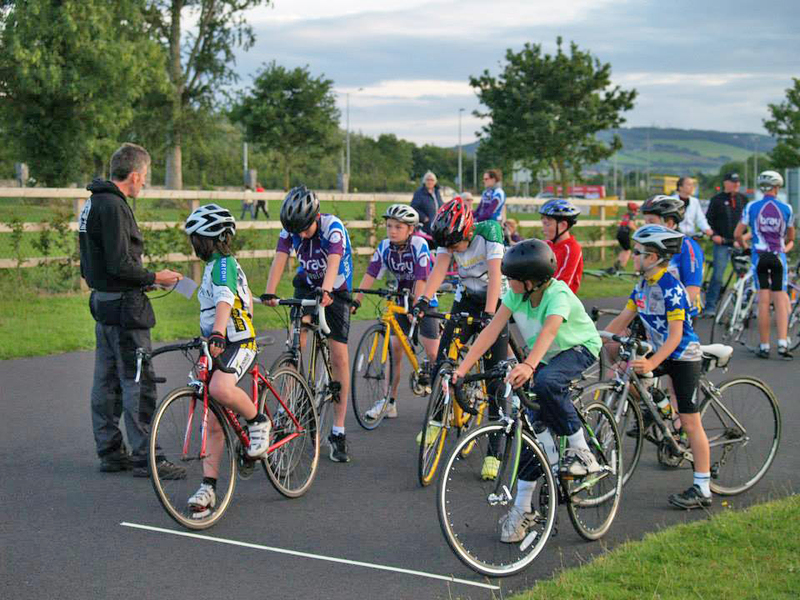 This week the youth riders continued their league with racing at Corkagh Park. There was a good turnout for this interclub league with young riders there from Bray, Orwell and Sorrento cycling clubs. The results of the handicapped races were as follows – race 1 was won by Noah Harris, with Molly O’Bric in second place. Race 2 was won by Oscar Dyas with Sean Conroy in second place and Race 3 was won by Orla Conroy with Cameron Ross in second place. Next weeks event is on Mon 19th August 2013 and is a MTB Race at 7.15pm in Shanganagh Park – all are welcome. There will be a prize giving night on the 26th of August to present the prizes for the interclub league. This will take place in the clubhouse at 7.00pm. Several of Brays racers took part in the Wexford 2 day stage race over the weekend with Geoff Robinson finishing well up in the A2/A3 race and Colm Ferrari doing well in the A4 race. Also on Sunday a large contingent of Bray leisure riders headed to Kildare for the Leinster Loop where they got to meet and ride with cycling legend Stephen Roche. Beginners spins have resumed and take place on the last Saturday of each month with the next one taking place on August 31st. This will be over a maximum distance of 50km with a coffee stop en route. Full details are on the website.